CAN YOU PLEASE TELL US HOW TO BE ABLE TO SEE WHO IT IS THAT IS DOING THIS TO US? Hi Takita, sorry to hear you're having rough time right now. Do you have suspicions regarding who may wish you ill? Most folks know who their enemies are. This is a situation that probably calls for a reading; you can find good ones through the AIRR. In addition to helping you discover who is working against you, they can do work on your behalf and advise you what steps you can take on your own to end this and protect yourself from future attacks. If you do not have the funds to begin working with a reader right away, I would at least scrape up the cash and get either the Fiery Wall of Protection spellkit or the Uncrossing spellkit. They come with everything you need to do the work plus detailed instructions. Since you are new to conjure, this would be a good place to start. Also, check out the LM webpages for easy things you can do to protect yourself, such a house cleansings and spiritual baths. A lot of the items needed in hoodoo are inexpensive household items you may have already. 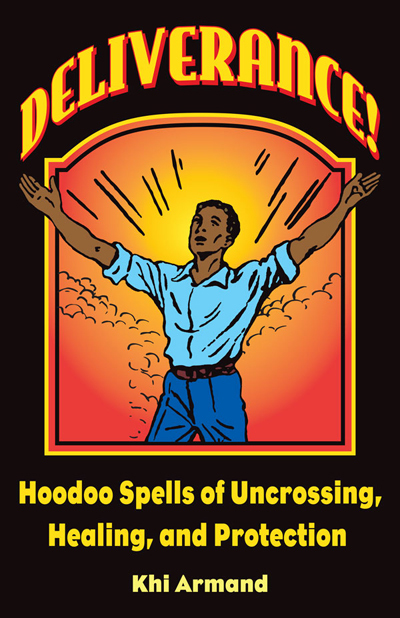 You can start with an Uncrossing kit to remove any circumstances or conditions that are holding you back (http://www.luckymojo.com/spell-uncrossing.html), followed by a Van Van kit to help open the way for good fortune in all areas of life (http://www.luckymojo.com/spell-van-van.html). I would like to add make sure you protect yourself against these enemies as well. It is important to cleanse yourself from what is going on, and then put up a means of protection so that it will not happen again. In addition, you may want to contact miss cat through AIRR so that you can get a protective locket. This way it will take the hit for you rather and you will know when you have been hit as the chain or locket may break. Also, if you work with saints you may want to work with Archangel Michael. He is a great protector against any enemies. Saint Martha is great for holding back known enemies as well. Definitely 'Fiery Wall of Protection"
. "It is said to be the best answer to malicious spells directed against you and your loved ones -- and it also puts up a powerful shield against gossiping co-workers or jealous rivals. It is not intended to create harm, only to give protection, thus it is safely used by folks who want to keep their 'karma' pure." How do i undo a hex or roots put on me and my nature if I do not know the name or identity of the person who did it? I agree with the advice given my jwmcclin, get a quick reading about your situation and look into having a professional rootworker take on your case if you don;t feel comfortable, or up to, doing the Uncrossing spellkit for yourself. The worker does not necessarily need to know exactly who was working roots on you to get you straightened up and uncrossed. I have been cursed by two women for about 20 years now, when I was 30. My vulnerability for these types of attacks started when I was young, when even then it seemed that jealous people were stealing my natural luck whenever it came around. These 2 women were so brazen that they even told me they were cursing me - and how naive is this - I was just sweet and confused and ignored it, while they openly took pleasure in the constant life beatings that started when I met them. One of them even put a spell on my fiancé who loved me and he ended up marrying her! At the time he came to me and begged me to convince her to let him go - words I thought were odd- I told him to just do what was right and leave since he said he was unhappy and seemed so miserable to everyone. He is still trapped and she will now allow him to post his photo anywhere publicly, etc. Now I believe in what they were doing- after so many years of this pounding and nothing going right -- I get it. It has even hurt my kids badly as well as my husband. And still they persist - asking me for photos, etc. which i stopped giving them long ago but they must have nothing to do because I can really feel their strength. I have tried most spells and have in many cases have had temporary results - the spell kits are wonderful. But after 10 years of doing this and still being beaten up in my life for 15-20 years I just feel I need help in battling thm. I remember a friend of mine many many years back was in a similar situation and was unable to block the onslaught of bad luck constantly coming her way. She joined a local coven and they worked together to cast spells and pray for each other. It worked. It was remarkable. I now leave in California (was in New York) and would be every so grateful if you know of a coven anywhere near the los gatos area that is open to having someone join them. I really need help at this point and would be grateful for the opportunity to also help others. Hoodoo doesn't have "covens." That is a Wiccan/Witchcraft term. Most rootworkers work alone. I have been trying for a couple years now to rid myself of a crossing from an unknown person/people. I feel as if I have tried nearly everything to clear myself. I have had entities attacking me in my sleep, demons manifest themselves in my presence, and negative entities constantly attaching themselves to me. I've been told that I had an entity sent to me and to someone I was dating. I've been in accidents, suffered a multitude of mysterious "ailments" had all of my friends turn against me, lost thousands of dollars, all of my pets turned up with a mysterious illness as well. All of this started happening about 2 years ago. Archangel Michael has been a big help. La Santisima Muerte also helped me for awhile. I thought for a long while the crossings were my own karma, so I even broke any spell that involved another person and yet there's still something hanging over me. I've gotten many readings before and there are 2 people that keep coming up, one is a woman and another a magician. But more than half of the readings always turn up "fuzzy" (their words not mine). It's as if no one can pinpoint the source. Are there any AIRR workers anyone could recommend for this situation? In the meantime, do a 13-herb bath and wash down your home with Chinese Wash. Get the Fiery Wall of Protection spell kit and pray Psalm 91 daily. There are some testimonials on the Forum for workers, and each worker has her/his own page on the AIRR website to explain what services he/she offers. Most also have a link to their own websites. Most workers will do a reading first. Puglet, I agree, get a reading and see what the situation is. You're not alone, this scenario mirrors my own. The fact that readers can't figure out who the people are indicates the worker probably used an element of confusion so that your situation cannot be read properly. That also happened to me and it can be very frustrating! Good luck with your reading! In the meantime start with the uncrossing bath and a good washdown of your home, as suggested. Hi I would like to find out the whole procedure of uncrossing, protection and reverse. I am planning to do the 13 herbal bath and the uncrossing kit. Do I use the 13 herbal bath after 13 days then I do the uncrossing kit? Afterwhich I do the fiery protection kit? Then the "return back to sender? Do I need to do the Cast off evil kit as well? At which point should I use it? How to remove the evil eye as well? And the road opener kit comes last, correct? Which comes first? Can anyone do a placing for me? Additional: Can this example below be done? Can I use the 13 herbal bath then on the 3rd day - I use the uncrossing kit? On the 7th day of herbal bath, I use the fiery protection kit? On the 9th day, I use the Cast off evil kit? I keep going in the same cycle for a decade now... I believe I know who did the jinx on me but I just want to clear all these and have protection. Start the uncrossing kit on the same day that you start the 13 day bath. Take the bath first everyday. Once your uncrossing kit and Cast off Evil is completed, do the Fiery Wall of Protection. Then, work Reversal work. You want to be protected when you do reversal work. Miss Aida, Thanks for your information. It's very useful. Now I have a much clearer direction of using them the right way. May I ask what protection ideal and best appropriate to use during reversal work? Your spell kit will have the Protection oil in it. About 2 months ago I asked around on the web to see what a professional spell caster would ask me to do the work I needed. As it turned out all of them were to expensive for my budget. But this one "caster" keeps on emailing me ones a weak "revealing" that the gods has showed him this and that and that I NEED to come up with the money. So today I told him ones again that I don't have the money and I added that I'm doing my own root work. Now he emailed me ticked of and threatened to request my loved ones blood from his gods and that they are going to get hurt. Should I take him seriously? He has asked for our names, dates of births and pictures on our first consultation to consult his gods on what needs to be done. Should I worry? Read this wonderful article written by Miss Cat about Black Gypsies. It will make you feel better. You definitely should not. I'm pretty sure they're joke. I say spiritually cleanse yourself, do protection, and reversal work and ignore that person. I said reversal work because the threats are still an attack and if thrown back at the person, can teach them a lesson. But don't worry too much, though. Maybe even consider a legal route if it's possible if they are threatening you and your loved ones like that? Thank you miss Melani and OgundokunOmoOgun. The reversal sounds like a very good idea, this will teach him to threaten innocent people to con them out of their hard earned money. I think he is a scam, but for safety sake I will cleanse and protect. I recently found out I am having very serious and lifelong black magic being done...my life has been hell on earth and the reading I got is totally accurate. This black magic has taken away my money, my friends, my health, and everything in my life so I am barely functioning. i believe they crossed my spirituality so no healers, methods, etc are doing any good...i am aware 1000's of entities are sent in from the graveyard to make my life hell and i have such an energy siphon i am on disability with little chance of returning to work. All friends have left me and barely anyone will speak to me. All financial opportunities are blocked and I am on the verge of suicide. These are professional black magicians targeting me as I've been told I have a huge mission here they are trying to suppress. This is VERY dangerous energy I am dealing with and I am scared out of my mind but I am trying to do all I can to help myself..things have been so horrifying the past 8 years I don't see an end in sight or how I can survive this. I am grasping at straws. I dont really know what I am doing and i have little money for supplies, but I do have a road opener candle, plain candles in all colors, reversing oil, banishing oil, road opener oil, several mirrors, sage, rosemary, hyssop ,and dragons blood. i just starting doing candle magick but i am confused....if someone can clarify for me...in what order do you do a banishing, binding, reversal, uncrossing, and road opening?? I am wanting to start some major work with tomorrow's moon and I am so new at this. I have so much of my life impacted i dont know what to do first, but it seems I need to clear whatever curse or crossed conditions they have on my healing so I can at least any further work I do will actually help. Can I combine all the above into one "ceremony" or ritual? Wow, I am so sorry that you are going through all of this. I am sorry to hear you are suffering. -- causes me to offer the opinion that you may need psychiatric help as well as rootwork. I am not sure if this is the right thread to post this. I was searching for " doll in a coffin" and I found this thread. I am wondering if anyone can enlighten me on this. If one dreams about seeing a woman at her altar, looking at the dolls in their own individual coffins which she placed in front of her. And, then she took one of the dolls out and push the doll into some ashes and chanted softly. And after that, she poke a needle into the doll. Lastly, she place the doll back into the coffin and close it and then hides it under the altar. May I know what does that mean? Can anyone direct me to a site which I can read more about it please? Thank you and hope to hear from you guys soon. Thank you Sister Jean for your reply and the links. 3 days into 13 days of Uncrossing Baths. The first two days I felt fine. This morning though, I felt like I was wasting my time and I should just give up and this was all somehow my fault. Just wanted to hide from the world and give up on everything I've been trying to do. Any ideas what may be going on? Things trying to leave, or something trying to recross me? It could just be that the Uncrossing baths are dredging up some unpleasant spiritual gunk that needs to be purged. Don't stop the baths, persevere. Not planning to stop Sister Jean. Actually was feeling much better today. Odd dreams about marrying my former partner, but that was about it. *chuckle* But so far so good. Well, except my teenage daughter being nosy about what I'm doing in there that is. I have been crossed, by two women I know one of the the women who has done this to me. The other only seen one time to do not know. The one I do know I have never ever did anything to her, she has gone after ever man, I ever delta with. Why she so jealous of me I have no idea she even name her daughter after mines then told people i copied her daughter name when my child is now 36 and hers is 25. She is one of the women interfering in my relationship with my man. I can't afford to get the Uncrossing kit and Fiery Wall of Protection kit from lucky Mojo right now. Because my finances have been hit hard from me being crossed. Was wondering is there anything i can get to protect me from any further harm for a couple of weeks until money come in. I know she also has did root work on him i can tell by the way he has started acting toward me but I am my 1st priority. Her family has been doing root work for many years and I have just started. So I know it is going to be fight for me to be free of her spell. Any suggestion will be greatly appreciate. I've been going through a lot in the past 2 years that I think is because of a coworker. This girl once she was hired she didn't like me. I never did anything to her. I was naive about her better yet I underestimated her. There was a girl that told me she did voodoo. I was like she seems like a decent person. I and other girls were making money and she wasn't doing well. Afterwards she brought a plant for my boss at work. I got suspicious because I'm from the islands so I know a lot. She gave her the plant and from that day forward no one was making sales but her. Even customers would avoid everyone but her. I told a girl she's doing something. She always would be burning incense and have candy laidout. I remember her saying everyone that had a problem with her life went to sh%%. Also someone did say at her house was a lot of candles burning with alcohol and candy. Like an altar. She would even have a witch cup. I always was friendly I would say is that Florida water she would laugh because me and her was the only one that know what that was. Anyways after the plant my boss started having bad financial problems. She even went out of business. The girl used to be a coworker not a friend I never knew her real name nor anything personal about her. She willfully added me on Facebook and never had a real page. Her page consisted of a photo that didn't show her face it barely showed her body. I'm wondering if she did something to me because I've gone from the best at my job to mediocre. I don't know her real name. I don't even have a picture of her. We don't work together anymore. I've had vision problems also and confusion. I'm wondering if she's doing this to me because there's no way this is normal what is happening to me. Please help me. what can I do if I have no picture of her or no name of her. Please I need help my life has hasn't been good for awhile. Anyway, please read the posts on tis thread for spell ideas. The bad part is she has my name and has my pics. I'm not sure of her real name nor do I have her pics. But I've been having a lot of health, mental,and best n feeling drained all the time. She's smart I don't know whose she getting help from but I'm wondering if she's doing black magic if these candle spells are powerful enough to combat what she's doing to me. I'm looking for major help. You don't have to know the name of this person to send all the evil back onto her, by the way. Just write something general like "MY ENEMY" instead of her name if you put together, say, a petition paper. Hello. I have been out of work for 2 years. Still looking for work. I did the open road, steady work , saint Joseph mentioned in the other forums. Still the door to getting a job is still blocked , like someone doesn’t want me to get a job or they put a spell on me from getting any job I applied for. I was recommended to check this forum out by Dr. Darensbourg from the other forum. I prayed to Saint Jude but I have been crying more because I can not find a job. What do you suggested I should do? I am sorry to hear about the job troubles you are facing. I would first eliminate any mundane issues that may be a cause of unemployment, such as having someone look at the resume, go to the local unemployment office to get assistance, many offer job assistance, resume writing and even find job training if the skills not what is needed in the job force. If this all checks out and still an issue then I would look into cleaning the house top to bottom back to front. Then taking a series of baths to assist with removing crossed conditions. Get a piece of gravel root and a salt and place that in a white hanky tie it up and dress it with olive oil you prayed 23 psalms over. Wear this as you apply for jobs. Take powdered sugar and sprinkle it with cinnamon on applications, pray to get the job. To uncross a condition by a person unknown you would want to focus on cleansing and protection. I know you are unemployed and am trying to recommend the starter items, such as ammonia to cleanse the house. Sage to purify spiritually ( burn it), salt for protection. Basil is an old favorite for me for protection, dry it up and crumble it and sprinkle it over the floors then sweep it up after praying over it to remove evil. Sign up on the forum. Thanks for answering back. You mentioned salt for protection, how do I used it for that? Also you mentioned basil dry it up & crumble it & sprinkle it on the floor & sweep it up after praying over it to remove evil-I can do this on my small kitchen floor & bathroom . Will dried basil, that I used for cooking, can I used this? But my other room bed /living room has carpet, how do I put the basil on carpet floor, can I spread it around and vacuuming up while praying over it , will this be a problem? You mentioned gravel root as an oil, is there such an oil ? You mentioned to take a series of baths to assist with removing crossing conditions, sorry I don’t have a bath , just a shower only . What kind of removing crossing bath that I can used to take , since I have shower only ? I live in studio small apartment in my parents house. You can sprinkle it in walkways, toss it as an enemy leaves, use it to make a spiritual bath (even though you have a shower). You have been given great advice here. I hope you are able to spiritually cleanseyour home and yourself from anything negative that may have been thrown for you. In addition, you might want to consider working with Block Buster products, since something (spiritual or mundane) is in your way. The vigil candle is inexpensive and can be burned over a photo of yourself or written petition. Scatter any wax remains in a crossroads and recycle the glass. I hope this helps. I wish you the best and please keep us posted. Thanks for your help too. I will keep you posted. Thanks. Hello again. You mentioned the bath and sent me the linked for uncrossing. What is the difference between 13 herb bath and uncrossing bath? I was reading other forums, that I could use either one. Which one do you recommend for my situation? Both the 13 Herb bath and Uncrossing bath crystals are used to remove crossed conditions, jinxes and any other spiritual messes that may be clinging to you. Whichever one is used is generally a matter of personal preference. Since you feel you have a significant crossing, I suggest you use the 13 Herb bath for 13 consecutive days. Follow the instructions (and adapt to your shower situation) and pray the 37th psalm each time. Make sure you take the remaining water to a crossroads to deploy. Question? How can I protect myself from 6 enemies at once? I know who 4 of them are and they are related but the other two I unsure of but I suspect that given the birthday of one that one of them is a reader I was seeing who wants me to spend my money with her again.i only have 2 protections candles but I have oil. How often should I do protection? Also can I just use one candle and put all of their names under that candle and their picture as well? I’m still in my 13 herb bath stage so when do I do the spell for protection? I also was thinking of burning a road opener and a block bluster together with a protection candle to protect me and my family and open my path. I'm sorry to hear you are dealing with such an ugly situation. Yes, you can group them together as your enemies "known and unknown" and work a spell on them collectively. How often you put up protection is up to you. My general response is "as often as you feel you need to", but definitely more than once. You're in the midst of your 13 Herb bath but don't wait to protect yourself. Start that work immediately. As for your candle ideas, do a Block Buster candle first by itself to clear away obstacles, then do a Road Opener to smooth your way forward. Don't mix them with Protection, as this is a separate goal. You can always burn a Protection candle on its own at any time. Thank you Miss Athena, so does that mean I can light a separate candle for protection while I do the block buster?